I do like the Monsal Trail (its flat for a start). 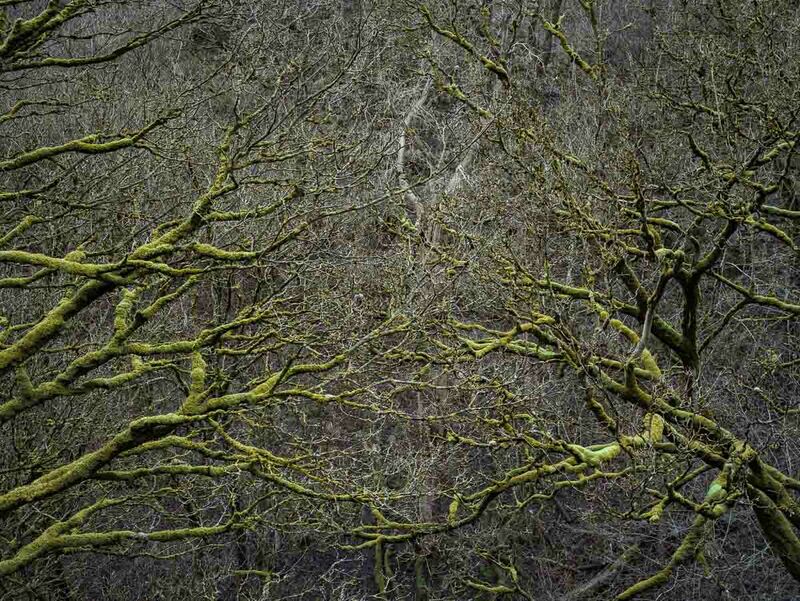 These trees are by the bridge near Miller’s Dale that groups abseil off. I’ve never seen these trees with their leaves on, as we always seem to come by this way at any time but summer. That said who needs leaves when you are wrapped in a thick coat green moss? On the whole this photograph pleases me, I took it on my Bronica ETRS using Kodak Portra 400. 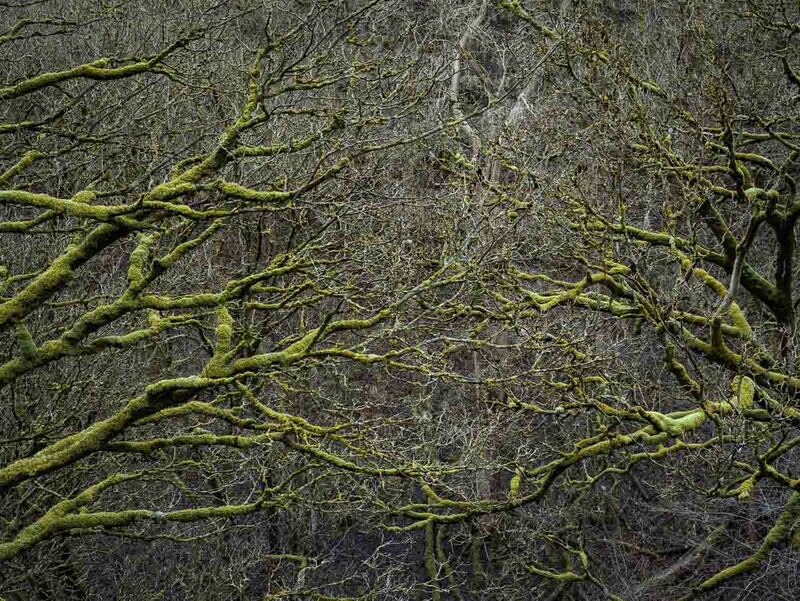 I do have some small doubts about the branch on the top left and a lighter mossy bit toward the bottom right. The photograph below shows my crop – what do you think, which do you prefer? How to crop is always an interesting question, but in this instance I don’t think the crop works as well as the original. The original has a certain sense of balance, with the dark corner branch being offset by the darker branches on the right side. In the crop, you’ve lost the darker top left branches, which is what you wanted, but the right-hand side branches are therefore far more prominent, and seem out of place. Keeping things even: I prefer the cropped version. I think the loss of the two relatively empty areas at the top and on the right balances it better. I’d concur with Alastair that the left is now marginally more prominent and I think that works well since the pale lines at the tips of both sets of branches are now off-centre, which for me works better in non-square images. All that said, this is all marginal and I like both versions.